Photos related to the July 2016 Administrator's report. Photos accompany the April 2016 Program Coordinator's Report. HIghlights include visits to Secondary Boarding Schools, annual track and field competitions at LCH (including a goat roast), county sports competition and Natalie's return after her sabbatical. A team from Books Are The Beginning visited in July. Again this year they did their Buckets of Hope campaign, a huge blessing to the people living near Lulwanda. And after doing numerous science experiments with the children, they held a science fair which was very popular. 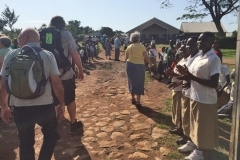 In June, Tomball Bible Church visited Lulwanda. Among the many activities an art camp was held, along with an awesome water balloon war. 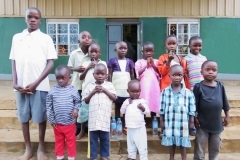 On May 5, Lulwanda Children's Home welcomed 12 additional orphaned and vulnerable children to their family. 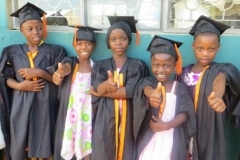 This is an exciting development and a major step forward in our orphan care ministry. Here are some photos of the new kids on the block! 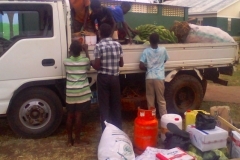 Photos of the activities described in the March 2015 Program Coordinator's report. 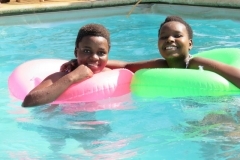 February was an eventful and fun month at Lulwanda. Take a read through the February 2015 Program Coordinator's Report to get the stories behind these photos. At the end of November, Mr. 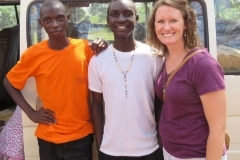 Rob, Miss Cathy and Mr. Andy visited Lulwanda. 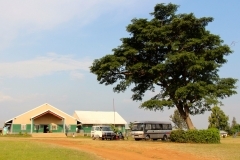 Their trip coincided with the 10th anniversary of Lulwanda's opening, on 1 December 2004. 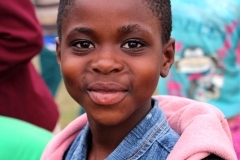 Enjoy this collection of photos from Lulwanda Children\'s Home, taken throughout June, July and August 2014. What a great time the children had during their break between school terms. Be sure to read the \"May 2014 Program Coordinator\'s Report\" which describes the adventures. 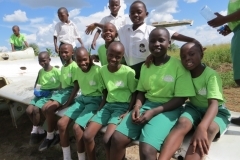 The children studied for their Term 1 exams and made good use of the Lulwanda Primary School library. Sport competitions began to heat up, with 8 students advancing from local to district contests. 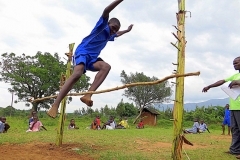 Two LCH boys, Zacharia and Wycliff, qualified to join the Mable District team and compete in Uganda National games in May. Wycliff\'s photo appeared in a local newspaper! 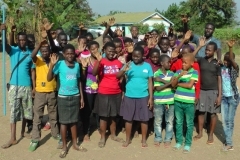 The start of another school year, with 37 LCH children now attending secondary boarding schools. And the Palmers arrive in Mbale, this time to stay! 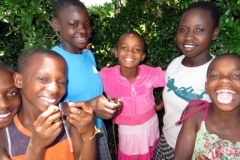 A busy time around Lulwanda in January, in spite of this being the break between school years. 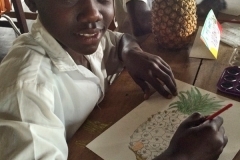 Lots of activities around Lulwanda during this Christmas season! The secondary school students are home, Christmas parties to be held, and much more. Be sure to read the December reports of the Administrator and the Program Coordinator. 20 great photos from October 2013, including visits to the Secondary Schools and a trip to the Civil Aviaton School. Photos from May 2013, as described in the May report from the Program Coordinator.